Laura has a first class honours degree in music, specialising in performance and musicology, and has a PhD in music from University of Liverpool. From 2004-2007 Laura worked at Buchan and King William’s College – first as a peripatetic teacher, and then as Musician in Residence. During this time, she was responsible for introducing Manx Music into the school curriculum, as well as teaching instrumental lessons and conducting various ensembles. Since leaving KWC to finish her PhD, Laura has had a successful private teaching business. Laura was commissioned to write two books of Manx fiddle music, called Fiddyl, and Fiddyl Vooar for the Culture Vannin. These books are currently used by the Isle of Man Music Service as a resource to teach Manx Music to young violinists and violists. Vannin, Shenn Scoill, Ny Jinnyn, and Mooinjerrey. 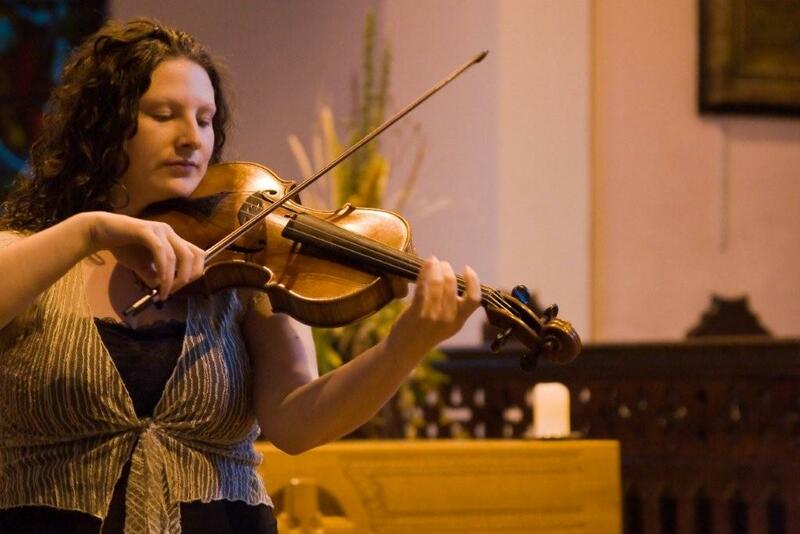 In 2010 Laura was selected as one of the final six fiddlers in the prestigious Amber Fiddle Award. Laura also co-authored and performed a song with David Rowles which won the Pan Celtic Song Competition in Derry in 2014 - the first time the Isle of Man has won this competition since the festival began in 1971.